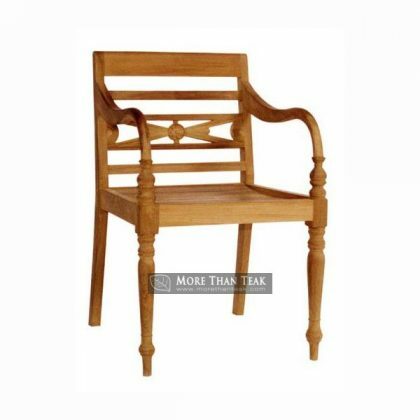 We are very innovative in creating quality teak furniture fatherly customer. Our models ranging from classical to modern models. 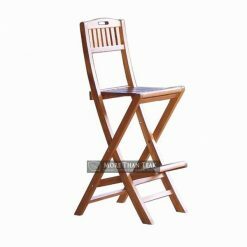 Classic chair is a chair that has a lot of interest because the model does not fade with time. 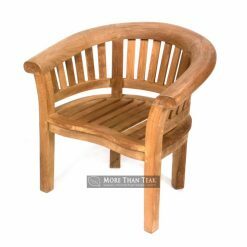 Model teak chair looks lightweight and suitable to be placed in the outdoor area of your home. 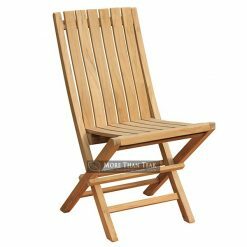 But this seat is very strong and durable, and resistant in any weather. 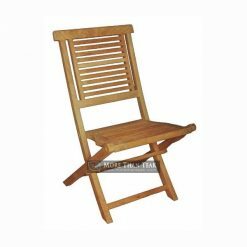 We conduct the process in accordance with the standards in the processing of teak wood that is resistant to all climatic conditions. 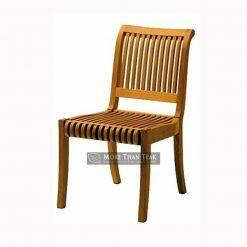 Our teak wood taken from forests in Indonesia has a smooth texture and wonderful fiber. 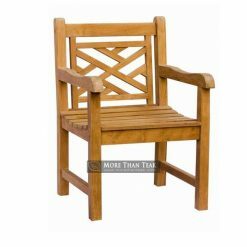 Model of a classic chair embellished with a classic motif on the backrest and armrest will make you more relax while enjoying the beauty of your garden or poolside. 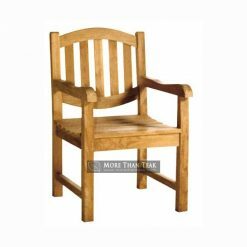 This chair is also great paired with a teak table and placed on the outdoor patio at the backyard of the house. 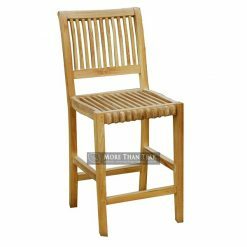 Specially made by experts in the design and Indonesia manufacture of wooden furniture, this chair is very beautiful to be a part of your collection of classic furnishings. Order this beautiful classic chair and we will do the best to fulfill your demand.